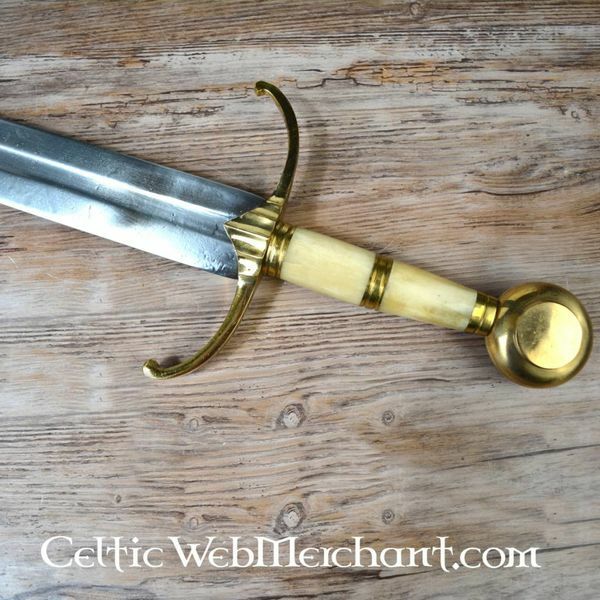 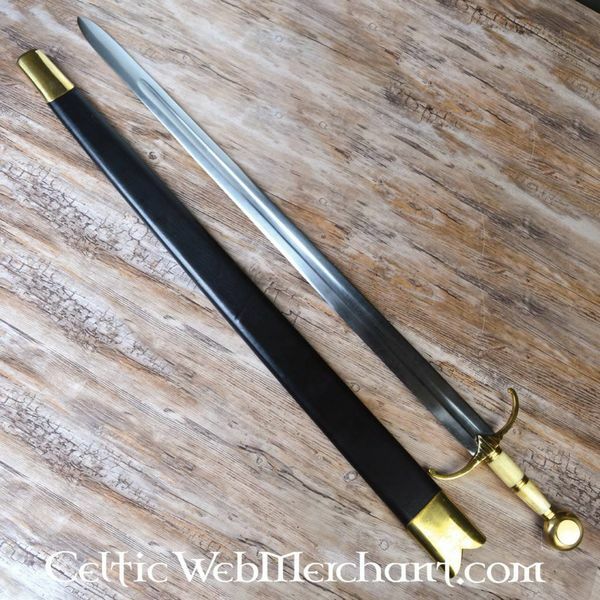 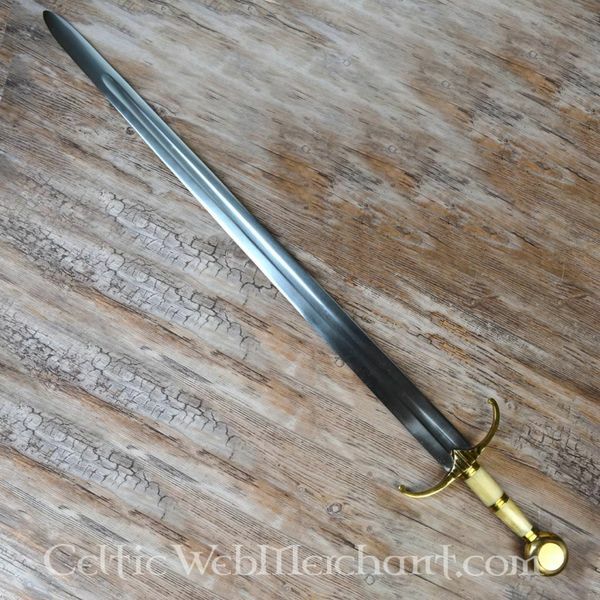 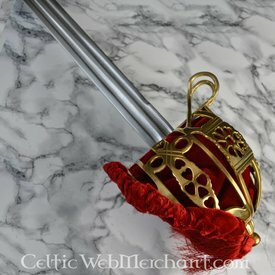 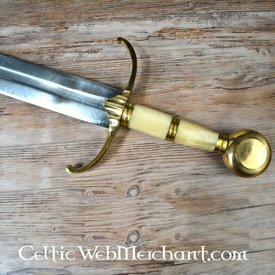 This is a replica of the sword worn by emperor Maximilian I at the Battle of Guinegate (also called Battle of the spurs). 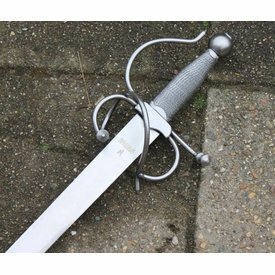 The sword is 95 cm long, with a blade of 78,5 cm long. 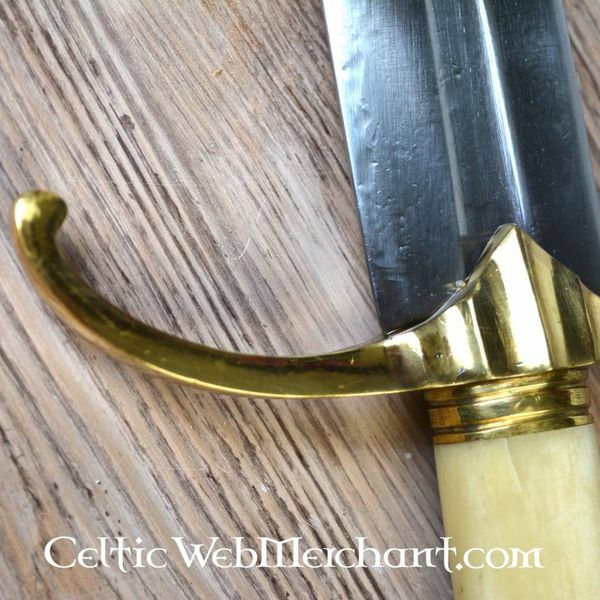 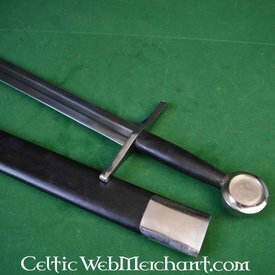 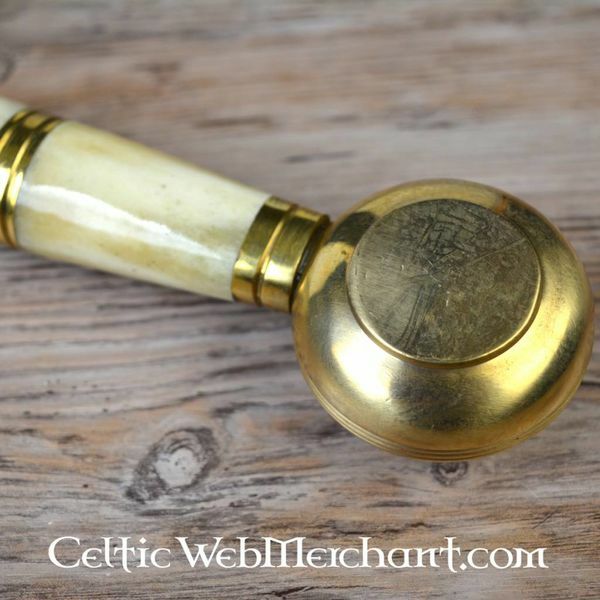 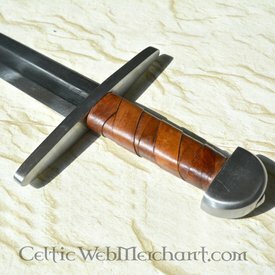 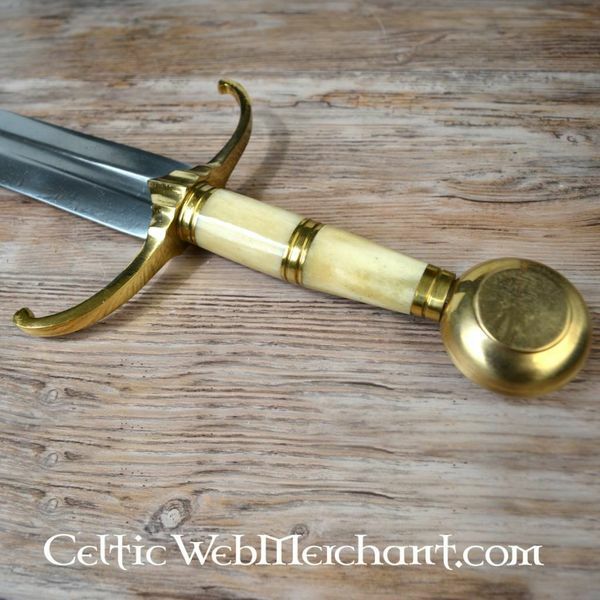 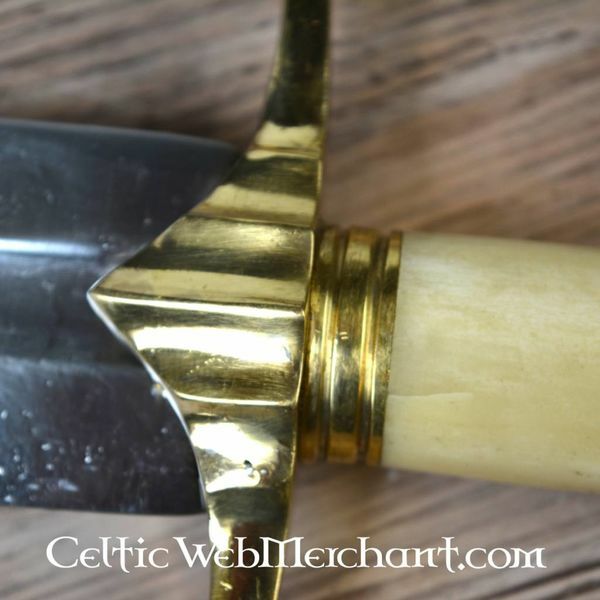 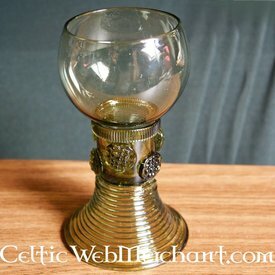 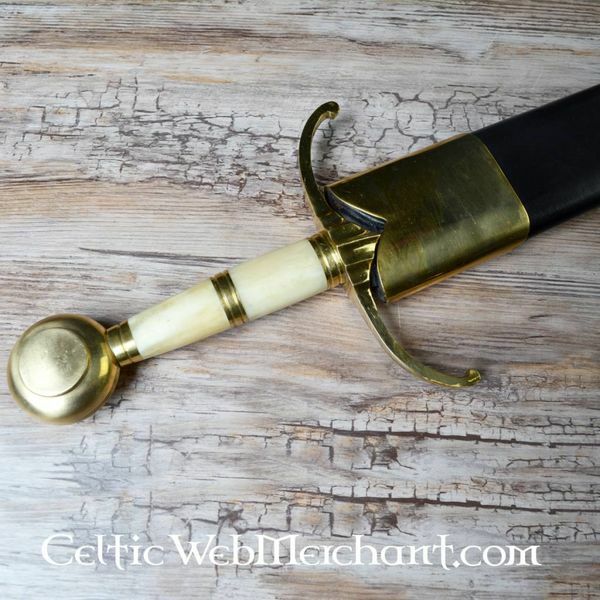 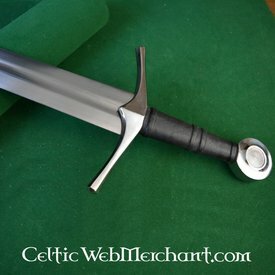 The grip is made from bone, the pommel and guard are from brass. 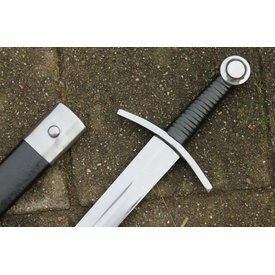 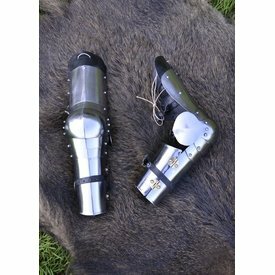 The sword is delivered including sturdy leather scabbard with belt loop.